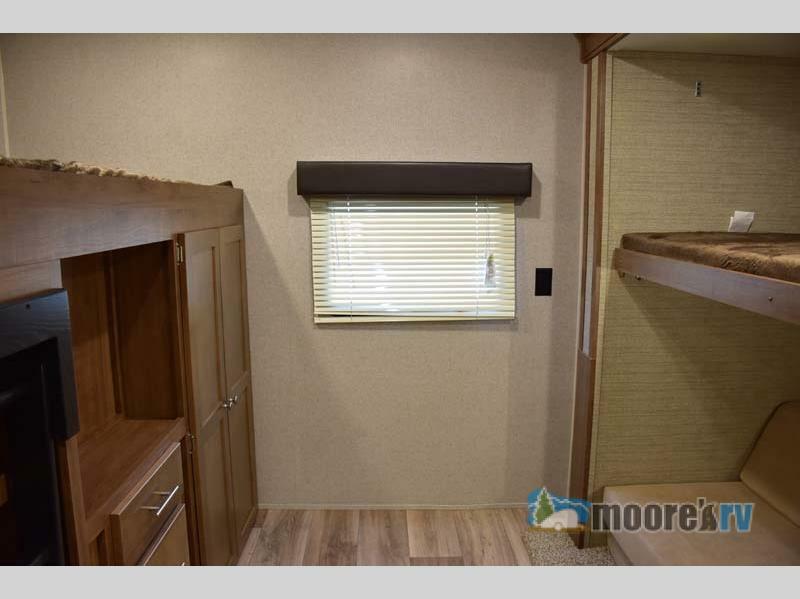 If you are ready for a camping adventure that involves the whole family, check out the Dutchmen Aspen Trail travel trailers for sale at Moore’s RV! These RVs are perfect for large families who like to travel light. We’ve got models that sleep up to 10 and with savings of up to $10,000 you’ll be hard pressed to find a better deal for your family getaway. In this Dutchmen Aspen Trail travel trailer review we’ll look at two features we know your family will love. 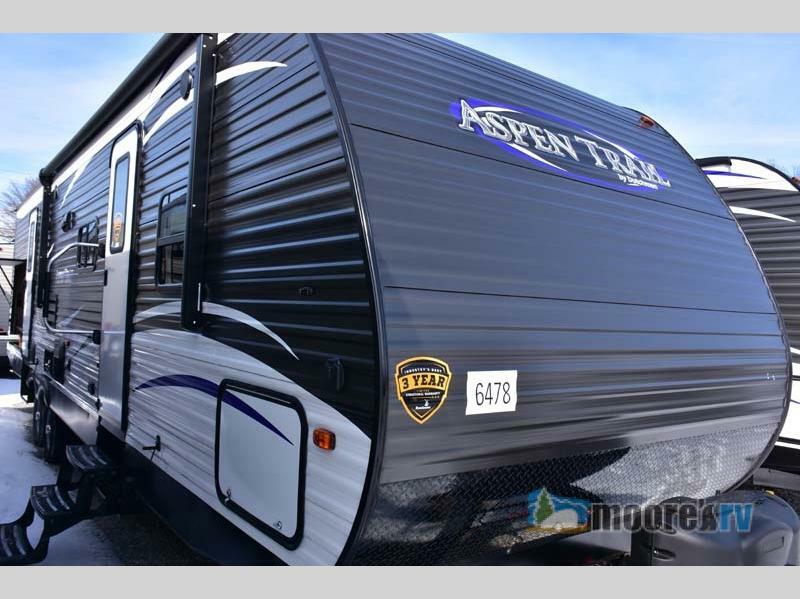 Check out this Dutchmen Aspen Trail 3010BHDS and more models at Moore’s RV! Full Bunkhouse for the Kids! Your kids will love that they have their space! The bunkhouse features an entertainment unit with a bunk above and a fold out sofa with a third bunk above. Because the bunks are located in the rear of the RV, you can enjoy the game in the living area, while the kids watch their favorite movie. Imagine getting back from a day on the lake, the weather is perfect, and you want to soak up every moment of the great outdoors before you have to get back to the daily grind. Well, you’re in luck, because the Aspen Trail 3010BHDS comes equipped with an outdoor kitchen! You can store everything you need for a quick dinner prep in the mini fridge or cabinets, there is plenty of counter space for prep work, and the sink makes clean up a breeze! Enjoy the fresh air while making dinner for the whole family! If you’re ready to hit the trail with everyone in tow, come on down to Moore’s RVs and find a Dutchmen Aspen Trail travel trailer for you! 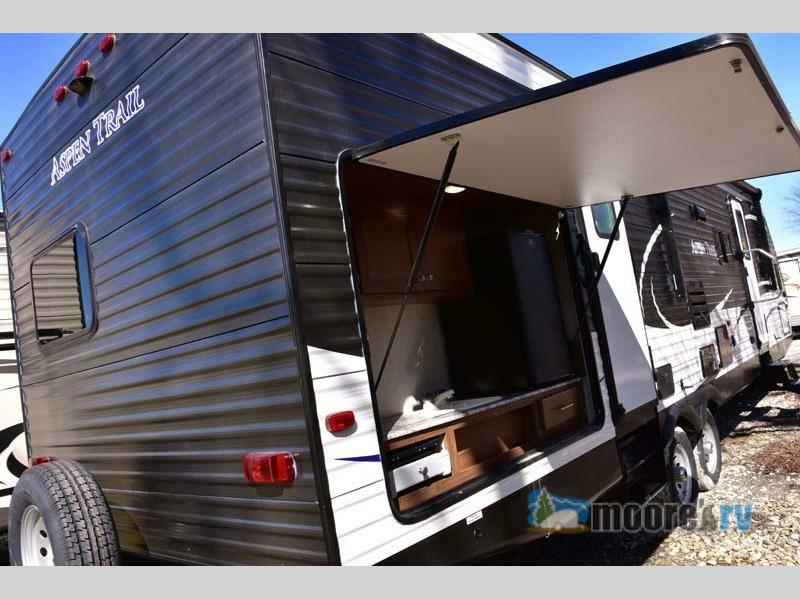 We’ve got lots of available floorplans that will sleep up to 10 campers and are still easy-to-tow. Contact us today for more information and get ready to embark on the adventure of a lifetime!